The word ‘GRAND’ is defined as outstanding, impressive, worthy of respect, wonderful, enjoyable and memorable. 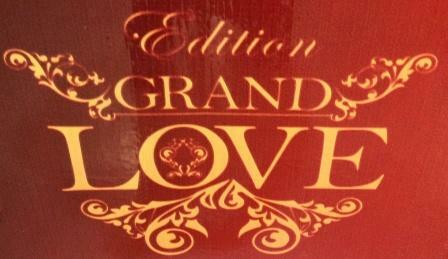 That is why this week’s blog is dedicated to GRAND LOVE! Close your eyes for a moment and image what this type of Love would look like to you. Put a big smile on your face and really feel what wonderful, enjoyable Love would be like in your life at this time. Imagine receiving lots and lots of beautiful, delicious hugs and kisses!! Doesn’t it make you feel so happy and so Loved!!! Another way to feel Grand Love is to contemplate the word EXPANSIVE. A Grand relationship feels open and expansive. Think of the most exquisite view of the Grand Canal in Italy, that big wide open expanse of water. Enlarge your thoughts and your mind, by seeing no limits or boundaries to the type of Love you wish to create for yourself. I encourage you this week to spend some time daydreaming about your own version of GRAND LOVE. This entry was tagged Costco, Create Great Love, Day Dreaming, Expansive, Grand Canal Italy, Grand Love, Happy Song, How to Create Great Love, Hugs, Kisses, Love, Mother Teresa, Relationships, Smile, Wonderful Love. Bookmark the permalink.